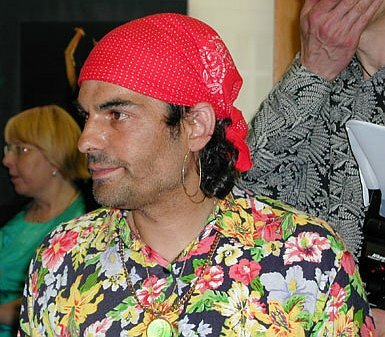 An exhibition in Prague has found an unusual way of countering the negative stereotype that members of the Roma community are often unemployed and live off state benefits. The exhibition of contemporary and forgotten Roma crafts highlights the fact that Roma on the Czech and Slovak lands made a living of hard manual labour. 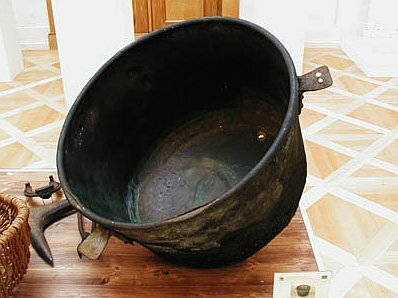 "This cauldron was used in the Roma Caskovice settlement in which I was raised. The cauldron practically served all Roma who used to live there. People were dependent on water as they needed to cook, wash, and bathe. But there was no water supply so whenever someone went to the city, he took something with him, filled it with water and brought it back to the settlement. So, there was a constant supply of water by the settlement's inhabitants. The cauldron sat over a fireplace that was always on and we therefore were never short of warm water." Back in 1893, a census was conducted in Hungary, which showed that most of the Roma inhabitants were craftsmen and musicians. Jan Rac hopes to support this claim with his examples of a large variety of crafts - from the tinker's trade, to weaving carpets and making brushes. 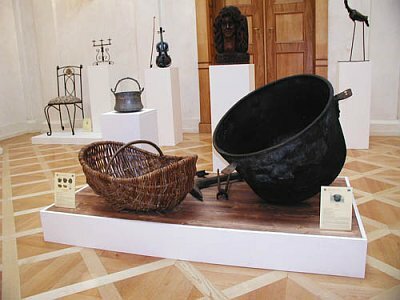 The exhibition also shows the no longer existing production of rolling pins and adobe bricks from which simple homes were built but also wicker furniture that was recently made by Slovak Roma for Italian customers. "Another interesting exhibit is this anvil dating to 1814. The Roma never did any smithing standing up. They always sat down for it. That is why it is so small and mobile. It was always placed into the ground. There are also examples of the tinker trade, which you would no longer find today. Bell-making is also disappearing and as far as trough-making is concerned, you still find trough-makers in Slovakia. But only in the eastern part of the country." "The Roma who live here in the Czech Republic came in the 1950s when they left Slovakia to find jobs here. These people no longer know these crafts but there seems to be a rebirth. We're now seeing the basket-making, and textile trades reappear." The exhibition "Forgotten and Contemporary Roma Crafts" is currently underway at the National Museum's Musaion.